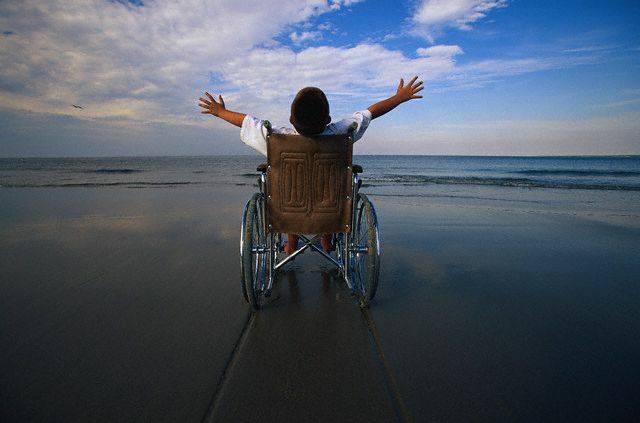 Disability is a term which implies any form of impairment, or inability to do certain activities. Impairment or disability may bar a person from performing certain activities and is a condition which occurs when any emotional senses, physical senses or cognitive senses are impaired. Certain people might be disabled right since birth, or may get disabled during the course of their lifetime. Earlier, ‘handicapped’ was a popular term used for those with physical disabilities but these days, disability has replaced the former since the former is considered offensive. Another term which is gaining much popularity and common usage is ‘differently abled’, in place of disabled. Disabled people have many rights, and they need to know about such rights so that they are not taken for granted. This act provides for the disabled that they should not be discriminated for accessing any goods, services or use of premises. They are free to go to restaurants, coffee shops, theatres, malls, religious places, shops etc and should have equal access as any other person without that disability. In case they want to lease or purchase a land or a property, they should be dealt with in a fair manner. They can become a registered member of a club and can attend public events. Rights for disabled at the workplace. These days, most of the organizations follow a fair play and ‘equal policy’, where everyone is treated equal regardless of anything. Also, the law provides for them that no employer should discriminate against disabled and they shouldn’t be denied any form of postings or promotions on account of disability. The Equality Act mentioned above mentions that a person should not be discriminated on the basis of disability in accessing health services and visiting doctor’s clinic and hospitals. The education rights states that all pupils, adult learners and other disabled students shall all have equal access to education and shall not be denied learning rights on basis of their condition. Disability is a much prevalent condition today and therefore we shouldn’t neglect anyone since they’re one of us and our own people. Also, having a slight deformity in any form doesn’t imply that they’re not normal. In fact, there have been genius people who’ve been disabled. Albert Einstein had a learning disability, Thomas Edison who invented light bulb had learning and hearing disability and Hellen Keller was deaf, mute as well as blind. So if there’s a will to excel, nothing can stop one.